The record 8100 Series Electro-Mechanical Swing Door Operator is engineered to automate swing doors for locations featuring high traffic, such as hospitals, supermarkets and airports. Eliminating noisy distractions, the 8100 Series also provides a smooth and quiet operation. Automatic doors are quite common in commercial facilities since they provide invaluable convenience to people working in and visiting the premises. However, selecting the right automatic door is crucial for reaping the benefits of these doors. 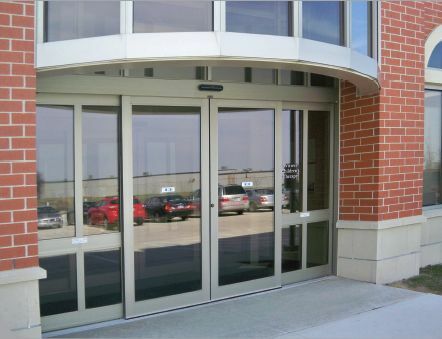 If you have automatic doors installed at your building, whether commercial or residential, it is important that you plan their maintenance carefully in order to keep them functional for a long time. If you don’t take measures to maintain your automatic doors, they can end up damaged before they have reached their full design service life. Depending upon factors such as the amount of traffic and the age of doors, you can select anything from a basic to an all-inclusive full maintenance program type that your local door service company has to offer. Please fill out the fields below and we will get in touch with you shortly.